Save the internet from its destruction. 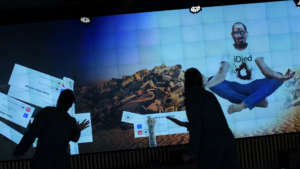 From mid 2016 the collectives Urland and Oneseconds* started working together to conceive a project for the mediawall in the hall of the Rotterdamse Schouwburg. 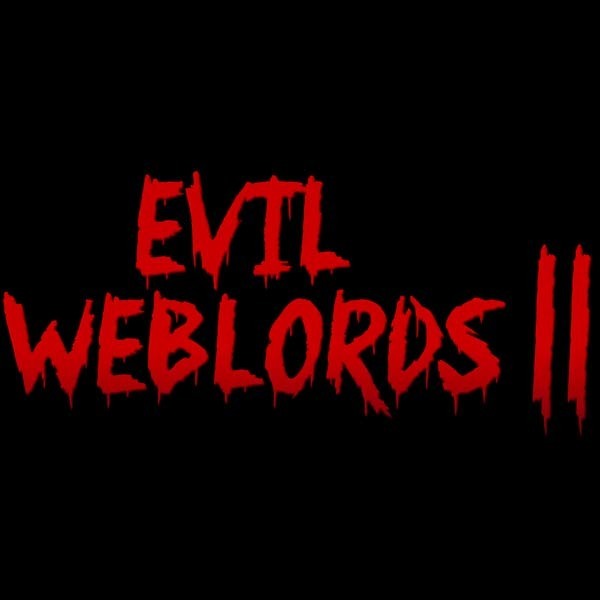 Their goal: to develop an interactive videogame in which the worlds of theatre and gaming merge; Evil Weblords II. 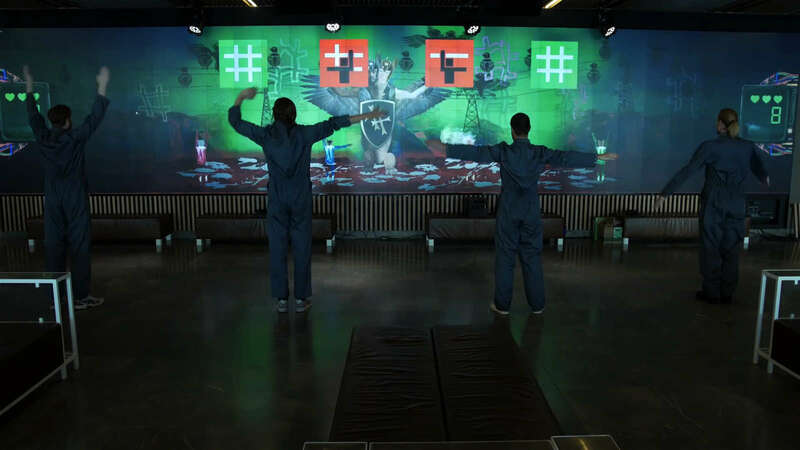 On November 4th these two stubborn collectives present the premier of this no-so-serious videogame on the 12 metre wide mediawall of the Rotterdamse Schouwburg. In the game you wander through the virtual world of the internet anno 2016. King Suckerborg and his Evil Weblords reign with an iron fist. Where Cyberspace used to represent freedom, equality and the right to privacy, it has now become a capitalistic police state in which everyone, consciously or unconsciously is being used and monitored by a handful of large corporations. Yet, on the virtual horizon there is still a spark of hope. Long, long ago, even before Myspace existed, twelve Wizard Nerds developed a security key that would protect the internet for ever; The Blockchain. Unfortunately Suckerborg found out and banned the Nerds from the internet for ever and divided the links of the Blockchain between his 5 trusted Evil Weblords. 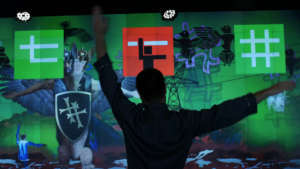 It is up to you (the player), together with three other Cyberheroes (internetcats) to collect the Blockchain Pieces and to put an end to the reign of Suckerborg. Defeat the Evil Weblords and save the Internet from its destruction! Step into the shoes of a collective and defeat the Evil Weblords in their own territory. The game is played by 4 players and is controlled by means of your body. In 6 minigames you’ll swipe Zombie-Jobs back to his death, you’ll dance the hashtag dance with Nazi-Valkyrie-Kanye-Trump, you’ll infiltrate Amazonia and liberate the exploited worker drones with your very own drone! Collect all the Blockchain Pieces and confront the Evil King Suckerborg with his capitalistic call for slavery. Collective work is key. The clock is ticking. The total game-time is 25 minutes. The cats are controlled through either your hands, head, legs and all limbs together. *Oneseconds is an artist collective, creating interactive installations, art games and social experiments that are a crossover between installation-art and experiential theatre. Urland has been working on the Internet Trilogy from 2014 and onwards. A trilogy on the rise, promise and future of the internet. Their final piece, Internet of Things/Prometheus de Vuurbrenger came out this fall and will be performed on the 4th and 5th of November in de Rotterdamse Schouwburg. Blijf op de hoogte door nieuwsbrieven en uitnodigingen. URLAND is een performancecollectief. URLAND werkt autonoom. URLAND kent geen hiërarchie, er is geen regisseur. URLAND ontwerpt het beeld. URLAND maakt het geluid. URLAND schrijft de tekst. URLAND staat zelf op scène. URLAND experimenteert. URLAND verwijst, citeert en samplet. URLAND ziet technologie als middel, niet als doel. URLAND gelooft in live art in digital times. URLAND heeft zich aan Theater Rotterdam verbonden voor een meerjarige samenwerking. URLAND wordt mede mogelijk gemaakt door Gemeente Rotterdam en Fonds Podiumkunsten.